Hi all! 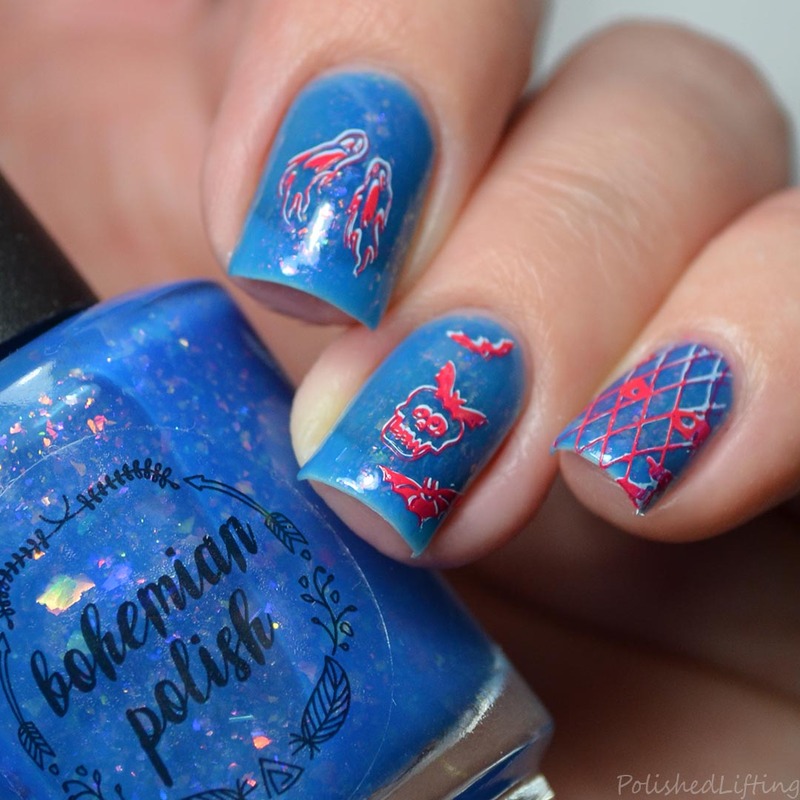 I'm back with some bright double stamping over Bohemian Polish Unbeleafable. I wanted to do something fun but not too Halloweenie at the same time. 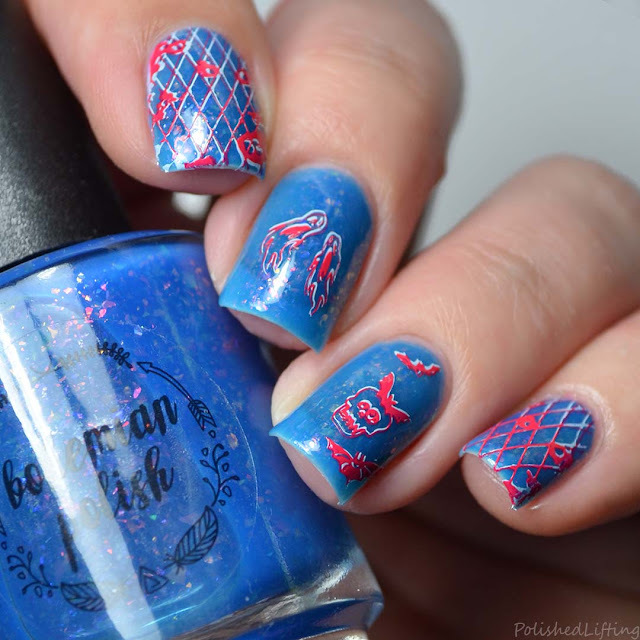 If you enjoyed this post you might like Bohemian Polish This Is Halloween Collection and 16 Halloween Nail Art Ideas.